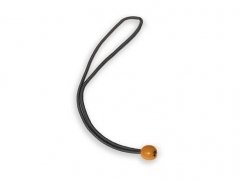 3/16" diameter black bungee with high visibility orange ball. Loop the bungee in the vest D ring and tuck the ball under the weight belt. 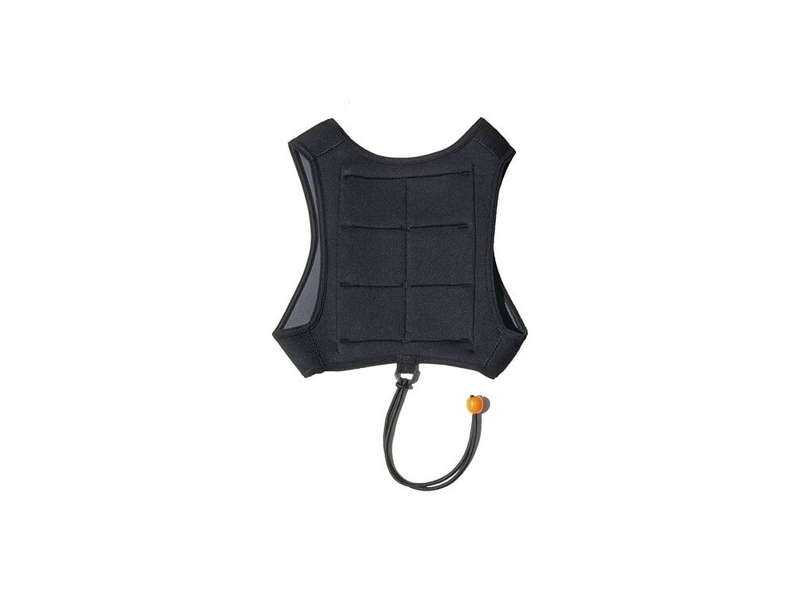 This is a safe system to keep the vest from riding up when inverting for a dive. 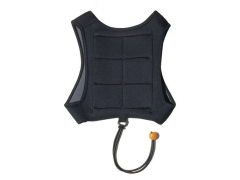 If it becomes necessary to ditch the weight in an emergency, dropping the weight belt releases the ball, allowing quick removal of the weight vest. This diameter bungee has the right amount of stretch to keep the vest in place.